Michael Pino of RE/MAX Elite, and founder of Edmonton Luxury Properties, has assembled an outstanding team of the leading marketers and real estate professionals from the Edmonton area. "It was something that I thought was lacking in the Edmonton real estate market," Michael says. "Currently, luxury properties are being listed as though they are $300,000 homes. If real estate professionals are earning a higher commission selling a luxury property, then the marketing dollars invested in the listing should logically increase as well." • Professional photography and HD video to showcase the magnificence of each luxury property. Michael is a life long resident of the Edmonton Area. He is a strong believer in what the City of Edmonton and surrounding areas have to offer. The services, diversity, the community, culture, recreation and our education system are some of the best in the country and possibly the world. Prior to becoming a REALTOR, Michael spent 14 years in the golf industry; from being a shop attendant to Director of Golf operations. Michael had developed many business relationships in the golf industry which made it an easy transition to the real estate profession. Trust, Commitment and Loyalty are the main characteristics that Michael possesses and is what has made him successful in his past and present career. Michael’s early successes in Real Estate include being in the Top 10% in RE/MAX Elite in his 2nd year, & achieving 100% club. In his 3rd year Michael again has made top 10% in the office & reached Platinum level for sales. His 4th, 5th & 6thyear he has maintained top 3% in the office & Platinum level sales. Michael enjoys spending time volunteering for different charity & networking events and most notably quality time with his wife Tania and their two beautiful children, Silvio & Talia. 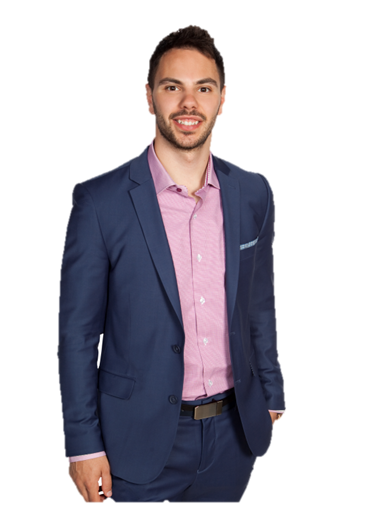 Gino is also a life long resident of the city of Edmontonand is a loyal individual who embodies honesty and passion when it comes to real estate. At the young age of 21 he acquired his first real estate property. Not looking back, he pursued his enthusiasm for properties and his integrity in community by further developing his interests in real estate. Prior to becoming a REALTOR, Gino matured his resourcefulness operating in the construction industry with Wells Construction. He also established exceptional initiative and leadership as a soccer instructor at the St. Nicholas Junior High School Soccer Academy, and trying his hand studying business and engineering at NAIT, Gino has always had real estate in mind. In the spring of 2015 he became a licenced Realtor®. Gino is an ambitious & passionate human being who will commit to excellence with the Michael Pino Real Estate Group and their clients. 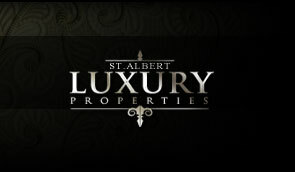 Highly regarded as one of the premier realtors in Edmonton, Ed has joined Mike and his team. Ed's resume continues to grow, "I am really excited to have Ed join my team of professionals." Definitely what separates Edmonton Luxury Properties from other realtors. The best on-line home video presentations in the Edmonton area! The high-definition video is done by Reel Mensch Productions. Karma Allen is an accredited home stager who owns and operates Final Touch Home Staging in Edmonton, Alberta. 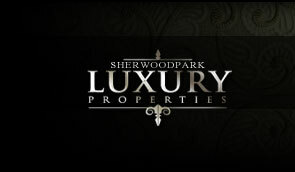 Karma works consults with clients of Edmonton Luxury Properties to help showcase their home to sell for top dollar. Redman Technologies, a leading design and marketing firm in the City of Edmonton, provides all web design and online marketing services for real estate companies. 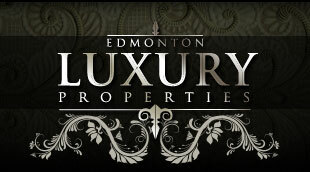 The Edmonton Luxury Property Marketing and Design Team is "Pleased2Announce". Maria Runco of Pleased2Announce handles all logo, flyer and presentation designs for the ELP team. WHEN YOU HIRE MICHAEL PINO AND HIS TEAM AT "EDMONTONLUXURYPROPERTIES.COM" TO REPRESENT YOU, YOU RECIEVE SIGNIFICANTLY ENHANCED MARKETING EXPOSURE FOR THE SAME INVESTMENT AS YOU WOULD WITH A CONVENTIONAL REAL ESTATE AGENT/COMPANY.